My precious photobooth collection of photobooth pictures, taken throughout my childhood and beyond, was sitting on the floor in my basement. But the last time I moved the box I forgot to get it up off the ground on wooden supports. 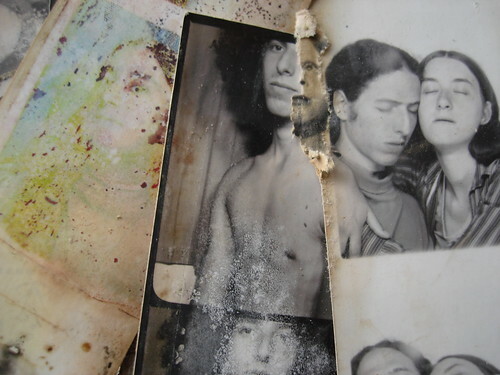 Earlier this year I found that much of the contents, photobooths and other photographs, was wrecked by mold, mildew, and water. 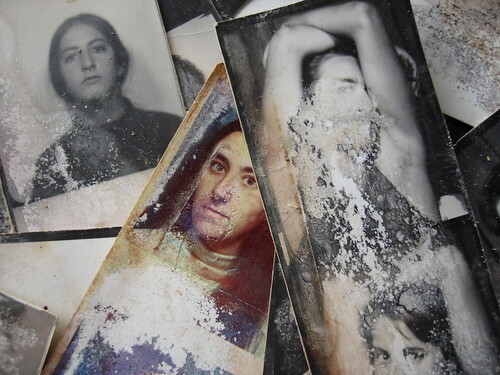 But wait..the wrecked photos seemed to have a beauty all their own. I have just compiled a book of my favorites and have titled it "Ruined." It is 28 pages long and has color photographs.